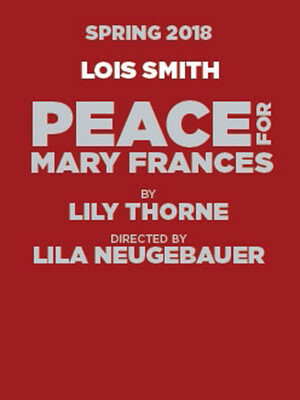 Lois Smith takes the lead in this poignant and hysterically funny comedy-drama, that explores the tempestuous relationships between a New England matriarch and her family. Lily Thorne's latest world premiere will be under the helm of in-demand director Lila Neugebauer, whose previous credits include 2015's Kill Floor, The Aliens, The Valley of Fear, Trudy & Max in Love and many others. Smith's most recent role was in Jordan Harrison's 2015 drama Marjorie Prime. This newest play will form part of The New Group's Spring 2018 season. 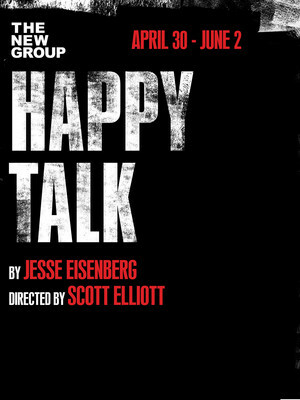 The New Group's dynamic 2018/19 season program comes to a rousing close with the world premiere of Hollywood heavyweight Jessie Eisenberg's Happy Talk (formerly Yea, Sister!) Eisenberg returns to work with the award-winning theater company and its creative director Elliot Scott after the critical success and West End transfer of his first ever play The Spoils, which he wrote and starred in during the New Group's 2014-15 season. History has her down as one of the most infamous murderers of the 19th century, a young woman who seemingly randomly took an axe and, ... well, you know the rest. 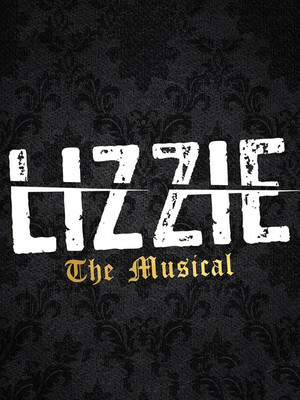 But now, in this exhilarating new rock and roll musical, Lizzie Borden finally gets the chance to tell her side of the macabre tale and let us in on just what it was that led her to commit such a gruesome crime. Founded in 1991 and housed at the Pershing Square Signature Center, the Signature Theatre Company is a non-profit organisation comprised of the Irene Diamond Stage, the Romulus Linney Courtyard Theatre, the Alice Griffin Jewel Box Theatre and two rehearsal spaces.The organisation exists to celebrate the playwright - they are the first and only company in the world to devote an entire season to one playwright alone, working together to create new work and to explore and celebrate the playwright's past catalogue. Simultaneously, it can take on up to nine playwrights over three different residencies. Past alumni include Athol Fugard, Arthur Miller and Edward Albee. 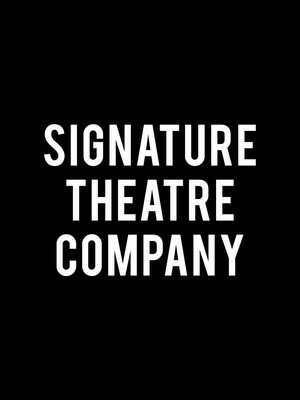 Please note: The term Signature Theatre Company as well as all associated graphics, logos, and/or other trademarks, tradenames or copyrights are the property of the Signature Theatre Company and are used herein for factual descriptive purposes only. We are in no way associated with or authorized by the Signature Theatre Company and neither that entity nor any of its affiliates have licensed or endorsed us to sell tickets, goods and or services in conjunction with their events.